When are requests for additional comps and other items a legitimate part of underwriting and when are they a not-so-subtle attempt to influence value? That is a question many appraisers are asking lately. At stake are many things, including whether consumers are really better off after all. The Home Valuation Code of Conduct (HVCC), with its vast downside for most appraisers, at least removed the relentless lender/mortgage broker pressure that appraisers complained about for years or did it? One of the goals of HVCC was appraiser independence. 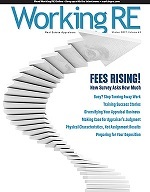 With appraisal management companies (AMCs) now handling the bulk of mortgage lending appraisals, there is some evidence of progress but many appraisers insist that “pressure” still exists; pressure for quick turn times, pressure for low fees and yes, pressure to alter reports to make a deal work. Over 10,000 appraisers have participated in two OREP.org-sponsored surveys, the original HVCC Talkback Survey and a second introduced a year later, HVCC: One Year On. For those who believe HVCC cured lender pressure, consider this sobering survey result: less than half of all appraisers surveyed, just 44 percent, answer that they “never” experience pressure from AMCs. “With the AMCs you work with, are you asked to re-examine reports with the intention of trying to ‘make the deal work’”? Forty-four percent (44%) answer Never; 41%/Sometimes; 13%/Often; 3%/Always.